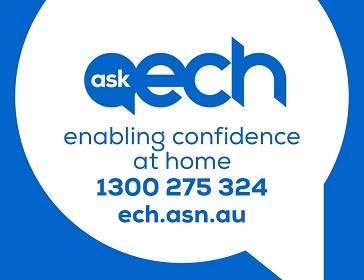 ECH stands for ‘enabling confidence at home’ so that you can ‘stay who you are, where you are’ as you age. Established in 1964, ECH is a charity and profit-for-purpose enterprise registered with the Australian charities and not-for profits commission (ACNC). ECH is constantly tailoring its services to reach diverse social groups and is non-faith based, welcoming people from all backgrounds. Today ECH is one of the largest providers of retirement village accommodation and aged care services in South Australia. This includes 1,800 independent retirement living units located within 100 retirement villages, extensive At-Home Services, four Wellness Centres offering allied health and social services and supportive respite services. Health and wellbeing services including open gym, exercise classes (group or individual), podiatry, massage, physio, occupational therapy, speech pathology and much more. Gardening and home maintenance including as mowing, weeding, pruning, planting, basic plumbing, carpentry and installations (e.g. curtains, doorbells, clothes lines). Help around the home with meal preparation, laundry and ironing, housework, personal assistance, nursing, medication management and much more. Maintenance-free retirement living in 100 villages across South Australia. Respite services including home-based respite, and centre-based respite in the day and evening social programs.